Due to his engineering background, Glenn Stok is skilled at solving technological problems, which has helped him save money on car repairs. Your check engine light is on. Your mechanic told you that you need a new catalytic converter and it will cost you $800. Even worse, you need to have an annual inspection soon and your vehicle won’t pass unless you get your catalytic converter repaired. What the mechanic is not telling you is that it might just be a malfunctioning sensor, or the catalytic converter may be full of crud. It’s not that they are lying to you. They just really don’t know. Most people think the only way to know for sure is to replace the catalytic converter, reset the check engine light, and see if it comes back on. A few of my friends already had this experience, and I wish they came to me first. I found an alternate solution that worked twice for me already, and it worked for a few friends who listened to me. When my check engine light came on, I read the Onboard Diagnostics (OBD) trouble code that’s stored in my car’s computer. I used an OBD diagnostic scanner that I bought on Amazon. You can get one for under $20. It works with all cars sold since 1996. Since then, all cars had to be OBD-II compliant. 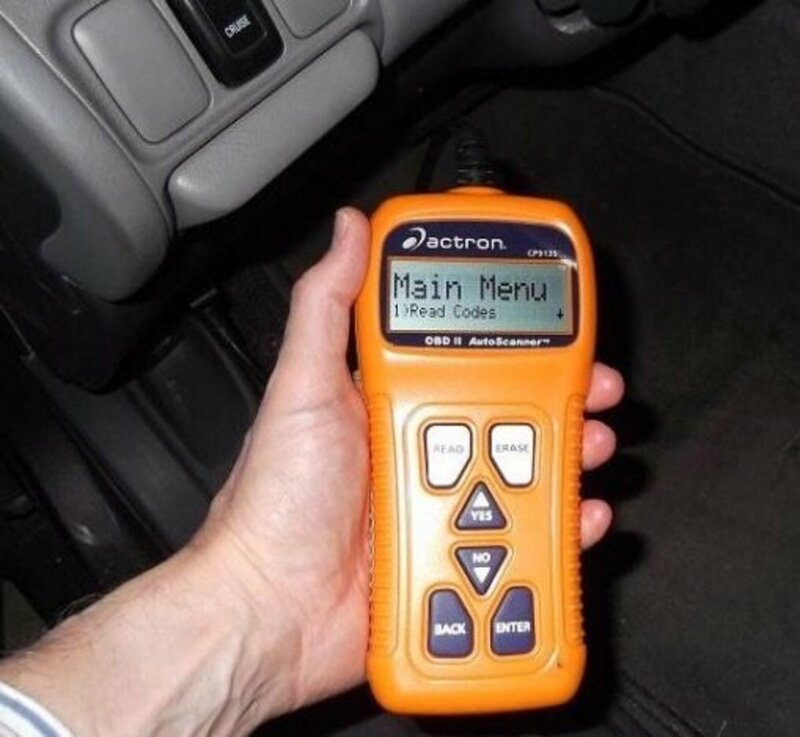 The scanner has an LCD display that clearly shows the trouble code and indicates which device is malfunctioning in your car. Some mechanics charge you just to do the same thing, and you’re still no better off. I feel like it’s a no-brainer to be able to read my car’s computer diagnostic trouble codes by myself, so I know for sure what’s going on. 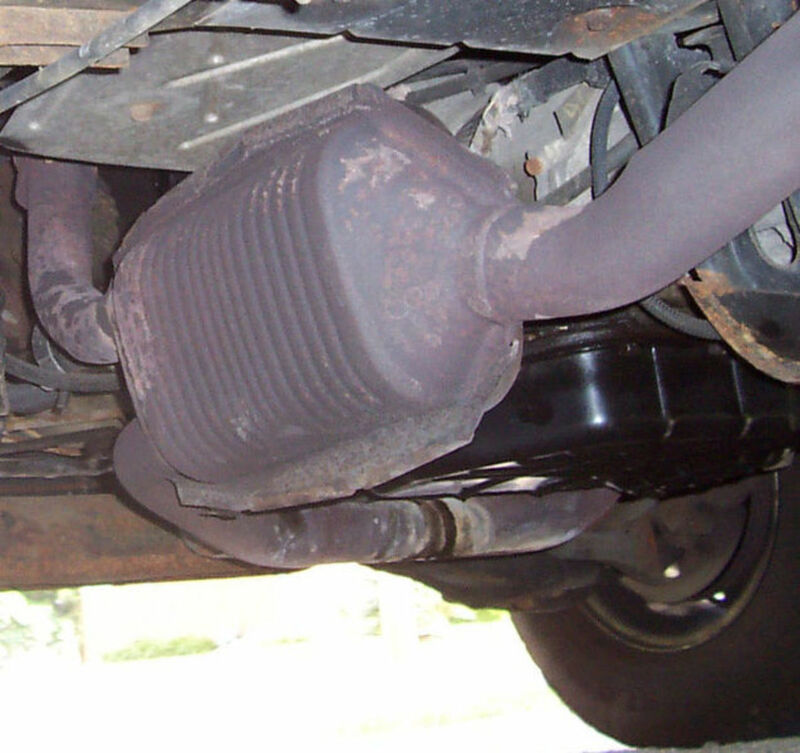 The Catalytic Converter is in the line of the exhaust between the engine and the muffler. Its purpose is to reduce emissions from the exhaust with an efficiency level required by each State to control pollution. The check engine light will come on if it’s below this threshold, determined by oxygen sensors before and after the converter. OBD Code P0420 means the catalyst system efficiency is below the threshold. It‘s a generic code—meaning that it applies to all models of vehicles built since 1996. This is the most common problem that makes the check engine light appear, although there are other problems that can occur. Each one has it’s own unique OBD trouble code. However, I’m going to tell you about an easy method of solving the problem, that you should try first, when your catalyst system is the culprit. When a mechanic sees P0420 he or she will tell you that you need a new catalytic converter. This trouble code appears when the unit can’t sufficiently reduce the carbon emissions from the exhaust. However, a catalytic converter does not normally wear out. There is usually some other reason for their failure. If you spend $800 or more to replace the catalytic converter, you may discover the check engine light coming on again later. Some mechanics will tell you to try replacing the oxygen sensors first, to see if that solves the problem. There are two of them, one before and one after the catalytic converter. This is necessary in order to properly detect catalyst efficiency. A good mechanic might also do proper testing by using a scope to diagnose the oxygen sensors, or do a vacuum test or backpressure test, and just charge you a fee for the diagnostic service so that you can decide what you want to do as far as repairs are concerned. So what do you do? Do you order numerous tests? Do you spend less money first for new sensors? Then if that wasn’t the problem, do you spend more money later on a new catalytic converter? There is also the possibility that the catalytic converter’s efficiency is simply compromised with oil deposits or other contamination, or just plain gunk from the years of exhaust passing through it. I found that there is an easy method to clean it out, after which it registers good catalyst system efficiency again. However, my method only works if the catalytic converter is malfunctioning due to contamination as I just indicated. So how do you clean it out? Easy. High-octane gas can blow out the contaminants. When you’re down to almost an empty tank, fill up a full tank with high-octane gasoline—the highest grade available. Don’t fill up if you have a lot of gas in your tank. This will dilute the high-octane gas and my trick won’t work. You only need to do this once. Drive until you’ve used up half the tank. When I did it, I just did my usual driving. In a couple of weeks I used up half the tank. There’s no rush, no need to drive endlessly in one session. You’ve got time, don’t you? After you’ve driven with high-octane for a couple of hundred miles, shut off the check engine light with the diagnostic scanner like the one I use. Now, continue driving as usual for a week. Watch to see if the check engine light stays off. If it continues to stay off, you’ll know it was only a contaminated catalyst system. The high-octane gas actually cleaned it out. As I mentioned, I’ve done this twice already. The first time lasted several years. When it happened again, I filled up with high-octane and the problem was once again resolved. I passed inspection and the light never came back on, even long after that. You’re not doing anything to fool the system when you bring in your car for a state inspection. So why would this be illegal? You simply blasted out the contamination and helped your car’s catalyst system perform to required specs again. Failing oxygen sensor (remember that’s still a possibility). Damaged wiring of the oxygen sensor connections. Leaking exhaust system (exhaust manifold or muffler). At least you’ll know for sure that you ruled out contamination, which I found to be quite common among my friends who saved money by following my method. If you do end up getting a new catalytic converter, make sure you get one that meets your States requirements, or else you may find the check engine light coming on again. The safest thing is to get an original manufacturer brand, or one that is legal for all 50 states. What Next, If You’re Going for a State Inspection? After you reset the check engine light with the diagnostic scanner, the car’s computer will indicate a “Not ready” status until you’ve driven a while. This usually resets after 50 to 100 miles. If you go for the inspection before the system indicates “Ready” you will fail the inspection. Before the inspection, attach your code scanner and check the status. Yes, it does that too. You’ll save yourself a trip. Now that you have your own diagnostic scanner such as this one that I use, you can always check your emission system’s status yourself. No need to pay a mechanic for a needless reading. Never get sucked into a repair job you may not need. The way I look at it, this is a small price to pay to be able to do your own review of what's going on with your car. Having a good mechanic you trust is still important, but it's nice to have the ability to know what happening and to do something about it before spending a lot of money. I do not have any engine light or "Service Engine Soon" light on my car but the mechanic is telling me that CAT reading on the diagnostic tool is saying not ready. 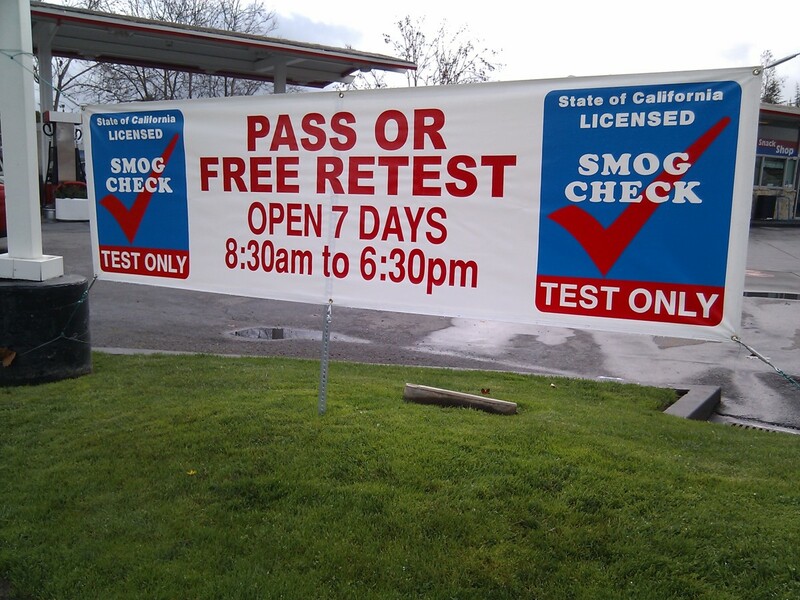 All test parameters for smog test are already passed except for the CAT reading. What is the problem? If you recently reset your check engine light or if you disconnected your battery, then the status of various sensors will indicate "not ready". You have to wait until the ready status occurs. See the section "What Next, If You’re Going for a State Inspection?" in my article for full details. Will the check engine light (service engine soon) go off after the high octane remedy without the diagnostic tool? The "service engine" light is not the same as the "check engine light." The former is just a reminder that turns on every so many miles, based on the manufacturer's guidelines. The latter is the one that warns you of malfunctioning emissions efficiency. This light does go off by itself, but only after a very long period when it detects no further errors from sensors. This does not provide a guarantee that it won't turn on again, especially if the situation is erratic. If the high octane remedy that I discuss in the article works with clearing the catalytic converter, then the sensors will stop sending an error code to the computer. However, as I said, this takes a lot of time. You'll be waiting for the light to go off, and this may take weeks or months. It's best to turn it off with the diagnostic tool and monitor the status for a "ready" condition before you bring the car in for an inspection. My Catalytic Converter was plugged up and was so hot that it turned red. This caused the engine to shut down. I cut the converter off and now the engine won't start. Any suggestions? 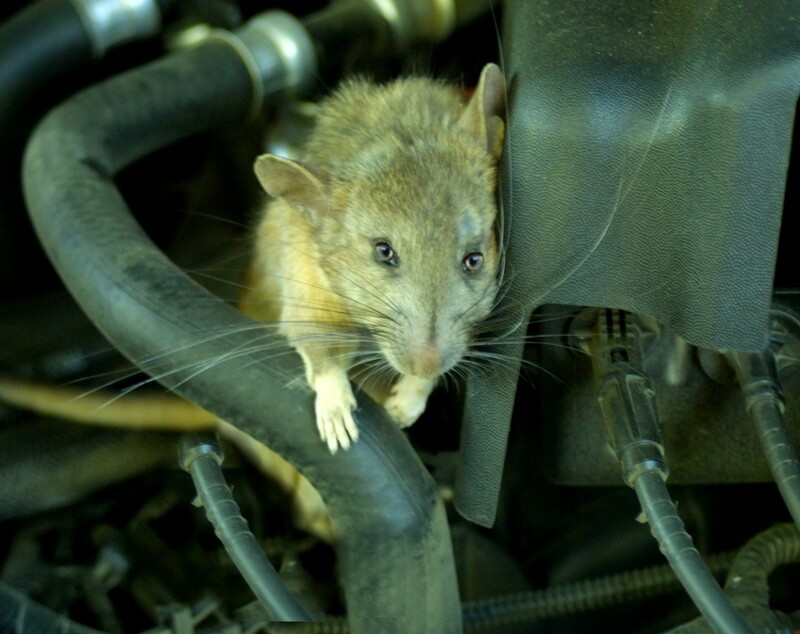 You should never have removed the Catalytic Converter. It is there to control emissions pollution. Tamperiing in such as way as you did can cause the engine to malfunction and maybe even fail to start. This is because the engine modifies the air/fuel mixture based on data received from the oxygen sensors that are before and after the Catalytic Converter. In addition, you will now be registering an error code that will prevent you from passing your State’s emissions test. 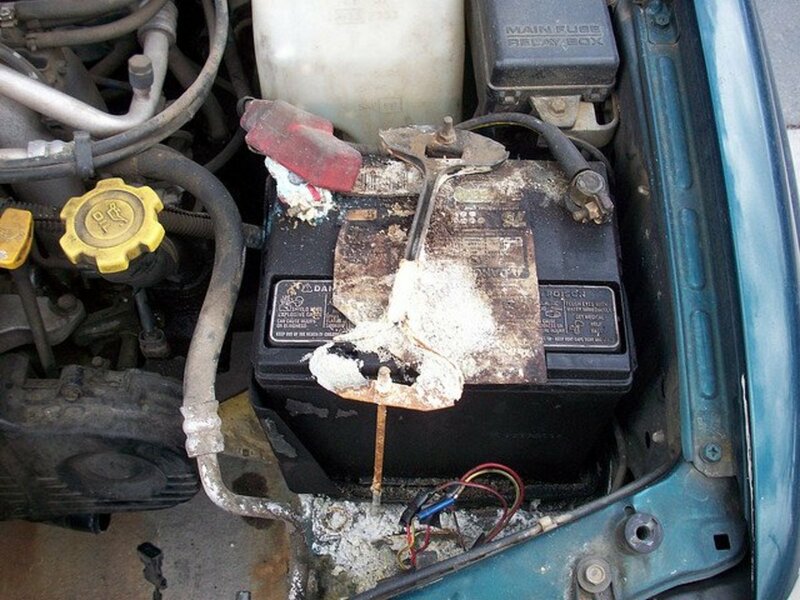 If you followed my suggestion before you removed it, by using high octane gas for one tankful as I explain in my article, you might have been able to clean out the plugged up converter. But since you removed it, it’s too late for that now. You need to have a new Catalytic Converter installed. I always use 93 octane gasoline, even when I have no "check engine light" indicating a problem. What do I do to avoid unnecessary repairs and save money in terms of my catalytic converter? In my article, I recommended high octane only to be used in one tankful at one time to clean out the catalytic converter. This is only to be done if your check engine light is on, to see if this solves the problem before spending a lot of money on a replacement. Then you should go back to your normal octane rating. If the light comes on again after resetting it, you may need your catalytic converter or the sensors replaced. I have a 2006 Subaru Outback. The P0420 sensor has gone on and off for about two years. My mechanic said not to worry. Now I hear the rattle indicative of catalytic converter issue. Is it too late to try the high octane gas method you mentioned? The rattle you mentioned indicates that something might be loose. That might also be a result of a badly damaged catalytic converter that definitely needs to be replaced. So you should have your mechanic put your car on the lift and eyeball the situation. If you’re lucky, something else is rattling. If that’s the case, then I would say you should try the high octane fix, especially since you say your check engine light has been on and off for two years. That would indicate that the unit just needs a good cleaning that a tank full of high octane would do. But first get that rattle checked out. My Chevy S10 V6 4.3L is a 1991 model. Is there a diagnostic tool for this year? Since your car is a 1991 model, it may use the original OBD-1, which began being used on most vehicles in the US in the late 70s. You will need to check your vehicle’s owners manual to see if it is one of those. You can also look for the 12-Pin OBD-1 port that was usually under the hood. OBD-2, which began in 1996, uses a 16-Pin port located under the dash. If your vehicle uses OBD-1, then you’ll have to purchase a diagnostic tool with a 12-Pin connector that is designed to read those older codes. You also need to buy an extension cord so you can sit in the drivers seat to carry out the required tests while reading the diagnostic tool. Stephanie - That all depends on what is causing the reading. The issue could simply be that the sensors are faulty, and that will give the same code as if the catalytic converter was bad. That's why you need to have an honest mechanic review it. But if you are told you need a new unit, try my method first. It saved me the cost of having any work done and it worked for several of my friends already too. If my car already failed inspection bc of the engine light on bc of catalyc converter will this device still help or do i now have to get my car actually fixed? Leave Griffin - That can't be answered remotely. You have to have a mechanic inspect your truck to determine the cause of not picking up speed. They say that's what's wrong with my truck will that make your truck not pick up speed. Rob, Octane does have a higher combustion level. That is, it ignites at a higher temperature. You are absolutely correct. Above, in the Q and A section, you told someone with a question that running high octane fuel will damage their engine because it can cause premature detonation. Octane is a rating of resistance to detonate and the higher the octane, the higher the resistance to detonation, the exact opposite of what you said. This is why higher octane fuel is recommended (if not required) in vehicles with turbos, superchargers or high compression heads or pistons. This leads me to believe the rest of what you have written is BS, as well. Leroy polczynski - It looks like you were screwed. Do you know for a fact that they actually installed a new catalytic converter? In addition, a reputable mechanic would know if the new sensors they installed were compatible. You need to go to a reputable mechanic to have it checked out. There is no way to do that remotely, which would only be guess work. Diosa1202 - Did you try my method first? That may help clean it out and avoid having to replace it. I had an O2 sensor reading and my mechanic changed the sensor 2x but it keeps getting the check engine light come back. Now he is telling me i need to change the converter. I feel that he hasn’t run enough tests to know this is what it needs for sure. I drive a 2006 Jeep Liberty. What are your thoughts? Thanks for your speedy reply. My upstream O2 sensor is new. I haven't gotten an error message for the downstream one yet. I might try the engine cleaner since it costs less than a tank of high octane gas. I am trying everything I can before replacing the catalytic converter, since it is so expensive. Stephanie Gordon - Since it stayed off until you filled up again, assuming you went back to the usual lower octane gas, maybe you just need to run it longer with high octane. You could always try cleaner, but the high octane does the same thing. If the light continues to come back on with the error code, then you might have faulty sensors. Or worse, it actually could be that the catalytic converter needs to be replaced. I followed your suggestion and ran a full tank of high octane gas in my car. The light stayed off until I filled up with gas again, and then the PO420 error message came up. Would you recommend an engine or catalytic converter cleaner as a next step? Maybe #1 and 2 fuel injectors are dirty and causing the reading. Further suggestions will be appreciated very much. Thank you. Stephanie Gordon - You may as well wait to see how it is after your trip with the high octane gas. If the light stays off after that, then you’ll know it was not either of the O2 sensors. Please post your results here. Have a good and safe trip. 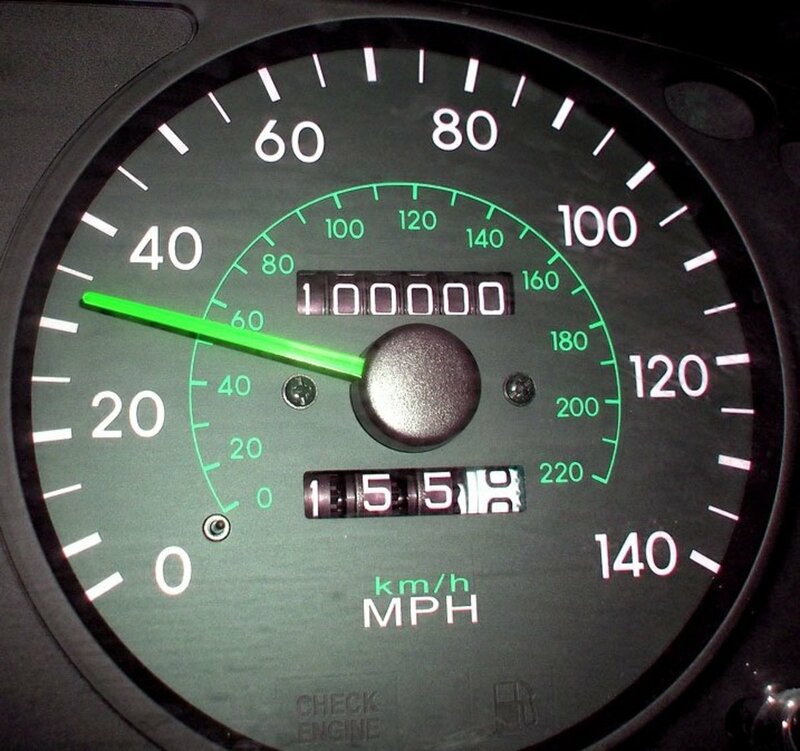 I have a 2002 Toyota Camry with 317,000 miles on it. I have recently gotten a P0420 error message. The dealer in my area told me to replace my catalytic converter. I have already replaced the spark plugs, # 3 and #4 fuel injectors, and the O2 sensor-upstream. I have done all of this work myself, as I am retired and trying to save on car repair bills. I am going to try running a tank of high octane gas through my car next week on my drive from VA to GA. I hope this will do the trick. Do you recommend replacing the downstream O2 sensor as well? My car is running fine after it warms up for a few minutes. Thank you so much for your informative articles and advice. KayRhea - It has nothing to do with driving over 50 miles. That is only necessary to get all the signals to reach “ready” state after the light has already been turned off, as I explained in this article. Since your light is still on, the mechanic didn’t fix the problem. You need to go back and get them to do the job right. Did you get your own code reader, such as the one I mentioned? That is the only way you’ll know what the computer is complaining about, and then you’ll know what to expect the mechanic to be correcting. I just had my catalytic converter put on my 2013 Ford Focus SE and the check engine light is on. Would it have to do with me not driving my 50-100 miles? Its works people! 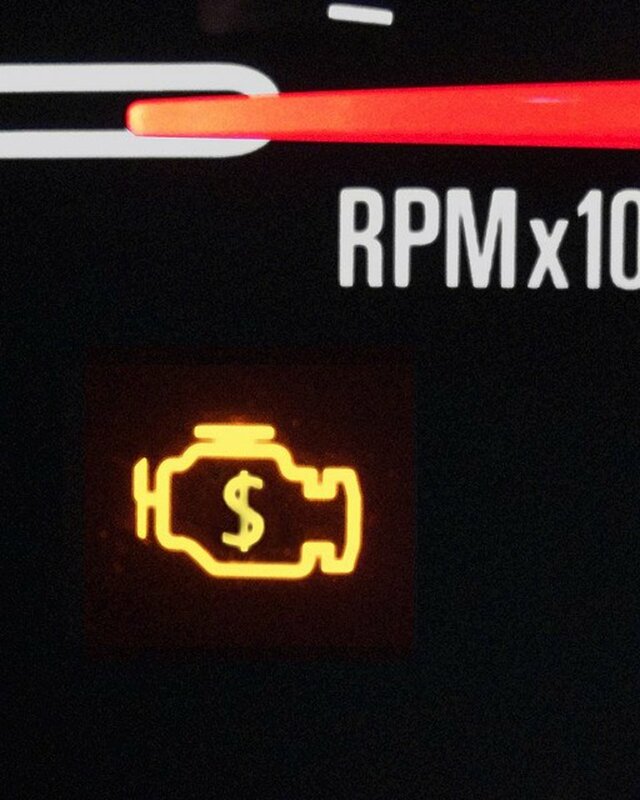 My engine light came on, autoshop said it would cost 3k to replace the “cats”. I didnt get the device Glenn described, but my light went off on its own with the high octane gas like Glenn described. I could only find 91 premium gas, so still worked. I have a 2002 4runner. Thank you Glenn! Thank you for offering this helpful information. My Camry has a P0420 code set though the MIL (or check engine light) is NOT on. I'm going to try your method and see what happens. Thanks again. You provided a useful possible solution as well as quite a bit of other useful information. Natalie RG - The dealer who sold you that car lied to you. Never trust buying a car when the check engine light is on. It will never pass inspection. It's too late since you already make the purchase. Your only option is to sue the dealer if you want to go that route. But if you don't have the paperwork to prove the condition upon purchase, you're out of luck. My 2008 Ford Expedition is giving OBD 304, 308, and 420. The dealer says that I failed to maintain the catalytic converter plugs which led to raw fuel dumping into it. Well, the check engine light has been on since I bought it and they explicitly told us that it was just an error with the o2 sensor and we shouldn't worry about it as everything was working fine. We've stayed up on all of our maintenance, but the warranty won't cover it because they are saying it's our fault and we should have brought it in sooner. I brought it in as soon as the vehicle's performance changed. Quentin R. - Thanks for confirming that my method worked for you. You sure kept excellent records as proof! Great article! I followed everything the article suggested after failing emissions with trouble codes P0420 & P0430 on 12/4/18 at 15:19:16 but 20 days later I went back for a retest on 12/24/18 at 14:29:26 and got the paper in my hand signed with the overall results: PASS. I also, before and after pictures of the results, just in case you were as skeptical as I was. Carlosbell - That has nothing to do with the Catalytic Converter. Your check engine light would be on if you have any emissions issues, in which case you can read the OBD code to see what it is. Wish I would have seen this article before now. So my 2006 Nissan Altima is having issues accelerating. While parked, if I push the gas pedal to the floor, it will barely its 2x rpms. Was wondering if you believe that to be a catalytic converter that needs to be cleaned or replaced. Mozee - You should report that machanic for fooling you. It’s illigal in any state to charge for a new one and then just clean the old one. You need to check with Toyota about your question if there is more than one. In any case, try my method before spending any more money. I had a catalytic converter replaced on my 09 Toyota Sienna. I explicitly told the mechanic I wanted a new converter installed which he agreed to. After 11 months , the engine light reappeared and the mechanic says the other converter has gone bad and needed to be replaced. My instincts told me to get a 2nd opinion and I went to another mechanic recommended by Emissions. He took pictures of my converter and it showed instead of replacing the converter, with a new one, they merely cleaned it and welded the pipes. I was told this is illegal in the state of MD. Presently I can't afford to have it replaced since I have just paid out a lot of money. My question is are there multiple catalytic converters on my van, and could the welding that was done cause the other to go bad? Danielle - The deceased gas mileage has nothing to do with the catalytic converter. You might have other problems developing. Remember to try my method if the light does come back on before you spend money on a new one. I have a 2005 Nissan Altima. My check engine light came on, took it to my mechanic and he says my catalytic coverter needs to be replaced. He just doesn’t know how long I have. So he cleared the check engine light and said to wait and see if comes back on. If it comes back on in a day or two that means it needs to be replaced right away. If it doesn’t come back on that means I have a while. It hasn’t come back on and that was a month ago. Meanwhile my gas mileage is decreasing. And I’ve noticed I have less power while accelerating than I did a few months ago. Does that mean he’s right? Erik, The fact is that my car is 20 years old and the method of using high octane gas has helped my avoid getting a new catalytic converter. Say what you want, but my experience, and that of the those who tried my method, speaks otherwise. I'm sure it doesn’t help is all cases, but it has worked so far. My light came on a few times in the past ten years with a P0420 code, and this method helped keep it clear for a couple of years each time. This sounds like a sales pitch for a code reader. How would this method work for cars that are already running premium gas? When catalytic converters first hit the threshold of setting a catalyst efficiency code, the codes can be cleared and it will often take a long time before the code resets. This isnt because you "cleaned it out" with overpriced gasoline. It stays off because the cat wasnt that bad yet. Catalytic converters should be properly diagnosed using proper methods which involves more than a code reader. Also, catalytic converters are only designed to last about 10 years. 10 years is a lot longer than the average american keeps a new car. At 10 years, the cat can just be worn out. 99% of the time a P0420 sets, the catalytic converter is the problem. Sorry, Glenn. Your "technical background" does not make you an expert in catalytic converter diagnosis. Chris, since you already have a new catalytic converter installed, then the method I described will not work. It’s already a clean unit, assuming the shop put a new one in. Since your check engine light came back on, that means it was not the catalytic converter causing the error. Do you know the error code the machanic read? It’s useful to have your own code scanner such as the one I mentioned. Just had my cat replaced and engine light came back on, can I still use your method to fix it? Jeff Barge - All auto repair shops have diagnostic scanners. If your machanic is just guessing or not telling you the code, you’re going to the wrong one. Why doesn't the law require auto repairers to buy this device instead of makng expensive replacemenets? Still working my way through the tank of premium gas. I filled it all the way up (tank capacity is 12.3 gallons, I put in 12.16 gallons). Hoping that it will clean whatever was causing the light to go off out. As I mentioned, my light was going on and off for about a hundred miles and was off prior to me filling the tank with high 91 octane fuel. The light has not come on again. Glenn, thanks for clarifying. It's for a 2008 Civic Hybrid that has always been carefully maintained. I'll stick with the 91 and report back. Jamie - Too high might blow the engine if it's not designed for racing. Use just all 91. It worked for me. Just don't dilute it. Fill on a close-to-empty tank. Glenn, thank you for your response! I am going to be trying your method. I've got a P0420 code that has been going on and off (now it's off) for the past two days. There is a Union 76 near me that has 101 octane racing fuel. I was thinking of getting about 9 gallons of 91 and then 1 gallon of the racing fuel. Would that be okay or should I just stick with ALL 91? Jamie - I was referring to the highest octane you can get in your area. That varies. Typically in the U.S. octane ratings can be as high as 91–94 for premium gasoline. How high is high octane? Are you saying something like 101? Or 91? Yes my brother said the same! All the cars are sealed in now! long time gone is when you could tie a pair of tights round the watsit! LOL! Nell, You're probably better off that you don’t drive. These days cars require a whole different type of maintenance. When I was young, I used to take care of oil changes and other things myself. There was always room to work. Now I can’t even squeeze my hands in far enough to change a dead headlight bulb. Very useful and helpful, and something I know nothing about and as I don't drive I can't really comment. But this will be really useful for someone who has that dreaded 'need a new one' syndrome. Very helpful, useful information, although I would engage someone else to help me follow the instructions. Thank you. Extremely useful information, Glenn! Thank you!